The decision to purchase a kia from cable dahmer kia in lee summit mo, my heart goes out to all the staff from the cleaning crew all the way up to the GM and the owner. 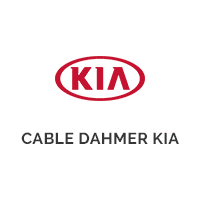 i felt and feel like family every time i walk through those front doors and it makes me so happy and puts such a huge smile on my face to have the help and trust of everyone at cable dahmer kia in lee summit! a business that does not only care about the care sell but the experience as well. Great place to buy a car. Everyone was professional and very attentive. THE WHOLE ENTIRE PROCESS WAS SO AMAZING. I am so HAPPY!!! My sales person The new car manager Tristan Chiarolanza was SO AMAZING HE NEEDS A PAY RAISE HE DOES A LOT FOR THE COMPANY and i see how much he really cares. my personal family is not that big but i know i have a family here for life. Abe took great care of me as well and walked me through the whole process and i made the second best choice in my life and the FIRST WAS WALKING IN THOSE DOORS AT CABLE DAHMER KIA!! Wake up everyday happy and thankful you woke up. lifes short be happy and thankful!! ALSO THE BEST CUSTOMER EXPERIENCE MANAGER EVER Betty Dowdy made sure all my needs and extra questions were taking care of! I recently purchased a used, certified pre-owned, vehicle from Cable Dahmer. I reached out through internet sales and was connected with an associate. This gentleman emailed me and called to introduce himself. His written communication was wrought with grammatical errors. We set up an appointment and I received email confirmation of our time. Then I received a confusing second communication with a different time. Upon arriving at the dealership I realized that the car I asked to see was not available for a test drive as it was parked in the showroom. The gentleman I was scheduled to see was not available. I was quickly connected with another team member, Katie, who did a fantastic job setting me up with two cars to test drive based on what I was seeking. Both cars fit what I wanted and were in my price range. Katie was phenomenal! I was connected to Carlos who helped me through the financial portion of the sale and he was great too. The staff stayed past closing time to help me finish up the necessary paperwork and prepare the car for me to take home. Aside from the initial frustration and confusing communication, the overall experience ended well. The dealership is also very clean and professional in appearance. Having visited 3 previous dealerships for Kia's, I was very pleased with my experience. Amid was great to work with. We visited this Kia dealership last year to test drive a Sorento and they were very knowledgeable and willing to work with us without pressuring us to buy a vehicle. The same was true when we visited last week and we're looking forward to getting our new car! Great customer service at this location! Excellent technicians! Find Kenny if you want a car.